Clearly marked function and feature buttons are easy to find. 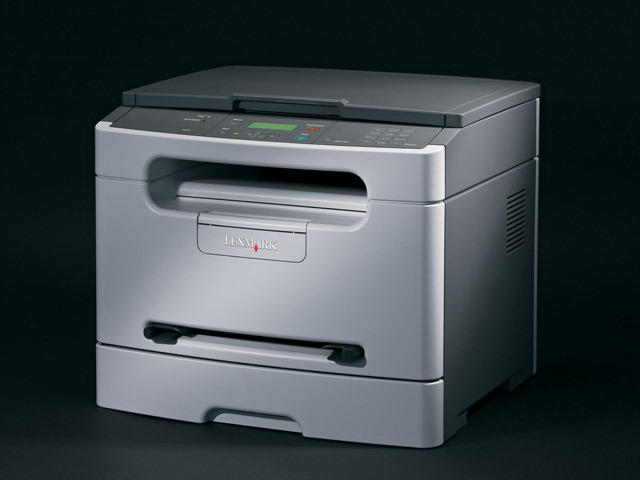 A real model of efficiency, the Lexmark X203n offers you the technology you need to work quickly and productively. Scan and copy with ease. Zip through your printouts as fast as 23 ppm. Add a professional touch to your documents with sharp laser-quality text. The Lexmark X203n can make a difference! The convenient front-loading design lets you install and replace toner cartridges in just seconds. When working is simplified, productivity is enhanced. That’s why Lexmark offers a wide range of user-friendly tools to make office tasks easier than ever. Experience exceptional accessibility right out of the box, from hassle-free set-up and intuitive operation to straightforward maintenance. The intuitive two-line display guides users through printing and maintenance tasks with ease. If you’re a busy office worker who wants professional laser quality and performance right on your desktop, then the Lexmark X203n is just for you. Reliable and easy to use, this ultra-compact multifunction device offers big advantages without the big price tag. Enjoy sharp text, rapid copying and intuitive scanning tools for your day-to-day document needs. 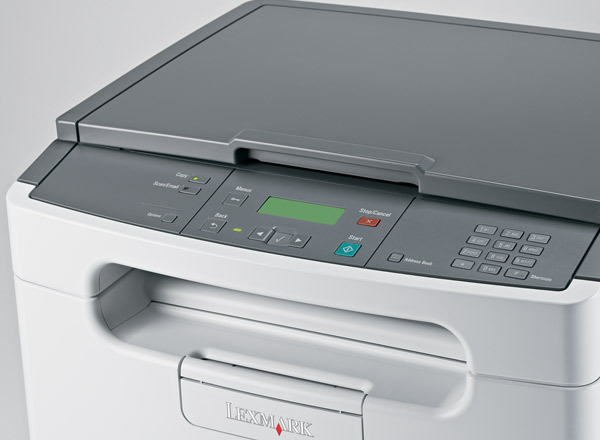 Saving time, money and the environment is a whole lot easier with the Lexmark X203n by your side! Connect to your PC via the USB port, or spread the benefits to multiple users with built-in network printing. Sleek, integrated design – everything fits nicely into a compact footprint! How do you make sure your Lexmark printer always gives you outstanding results? By using original Lexmark supplies! Lexmark printers and supplies are designed to perform together as one system, protecting your investment and delivering excellent print quality from first page to last. Lexmark X203n cartridges feature a practical design whereby the toner and photoconductor drum are separate – an ideal configuration for small desktop devices. This enables you to replace your toner without having to throw away the photoconductor. Replacing only the part that needs changing is a better approach for the environment and can help you keep your running costs low. When it’s time to replace your supplies, don’t throw them away – recycle them free of charge through the Lexmark Cartridge Collection Program. Lexmark practises ‘zero landfill’ for cartridges, reusing or recycling 100% of all returns made through our program. Enhance your important business documents with true 1200 x 1200 dpi print resolution. No need to rush between multiple office machines to get your work done. 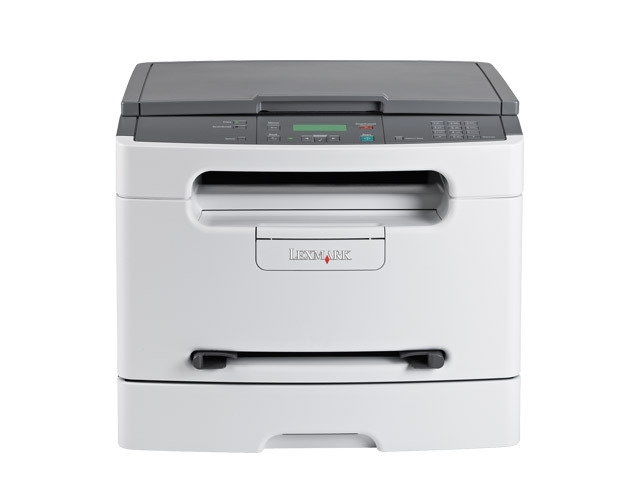 The Lexmark X203n puts printing, scanning and copying right at your desktop – all in one sleek, compact design. Moreover, these devices fit virtually anywhere, and look great everywhere! Save time and paper by scanning documents straight to email. At Lexmark, we’re always working hard to ensure you achieve maximum productivity and minimum downtime. Our Lexmark X200 Series devices include our solid service guarantee of 1-Year Onsite**, with a response time of next business day. For even greater peace of mind, you can opt for one of our extended-guarantee service offerings. For more information on any of these offerings, just contact your local dealer or visit our website today. Copy easily, using the flatbed glass.